Special green clearance event starts today at US Kirkland's stores. 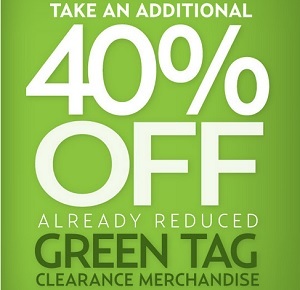 Take an additional 40% off already reduced green tag clearance merchandise. Final savings up to 75% off original prices! Offer ends 08/02/2015. Source of the information is Kirkland's. More information about the sale event at US stores.